The historic Straw Market, destroyed by fire in 2001, officially reopened in December 2011. The new market is open on all sides permitting excellent cross ventilation. The openings are full door-sized and are outfitted with easy roll-down shutters to provide protection against the elements and security when the Market is closed. The Pompey Museum at the historic Vendue House on Bay Street caught on fire and the Vendue House was totally destroyed. Sadly, the artifacts showcased at the Vendue House were also destroyed. It is believed that the fire started at the site of the old Straw Market tent. Pompey Museum opened in 1992 as a museum of slavery and emancipation. The Vendue House is the oldest building in Nassau, dating back to 1769. Bahamas Ministry of Health for health announcements. Duty free shops and the local Straw Market is just a short walk from the Pier complex. Nassau's Straw Market has been a popular tourist attraction for many years. Bahamian women sell handmade woven baskets, hats and valises - all made from straw, reeds and grass. Duty Free shopping at international boutiques located on Bay Street. 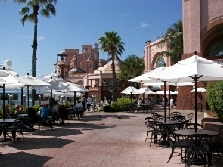 Marina Village at Atlantis is a large, high-end shopping center with 21 shops and boutiques located next to the Atlantis Marina. Marlborough Antiques offers a selection of Bahamian art, rare books, and a wide selection of antique items. It is located on Marlborough Street. Pick up shipwrecked coins from Coin of the Realm, located at Bay Street, on Charlotte Street. Takes place twice a year - Boxing Day Dec 26 and New Year's Day, Jan 1st. Nassau's Bay Street lights up each year for Junkanoo - an adrenalin rush of colors, costumes and floats driven by the beat of the goatskin drum. Come the end of January a colorful sailing regatta sets off from the coast of Nassau's Montagu Bay. Between 30 and 40 ships, all built in the area, compete in the All For One Regatta every year. August event. Bahamians look for any excuse to stage a Junkanoo festival and Emancipation Day is the best excuse of all. The celebrations are mainly concentrated in Fox Hill village, Nassau. January event. Atlantis, Paradise Island, Bahamas Event welcomes 25 of the greatest legends in sports history and 25 world famous Poker Pros. Annual December event. Famous actors and actresses mingle with film buffs at the annual Bahamas International Film Festival. Around 80 international films are screened. Click on the link for more info. 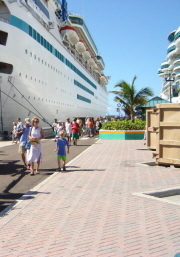 Nearly 3 million cruise passengers visit Nassau, Bahamas each year, making it one of the Caribbean's busiest ports. It is known for its turquoise waters, shopping, and wildlife encounters. Nassau is the capital, largest city, and commercial center of the Commonwealth of the Bahamas. The city has a population of 220,000 (2006 est.) 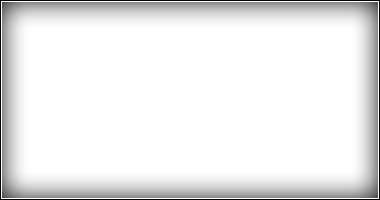 nearly 70 percent of the entire population of the Bahamas (303,611). The Bahamas extend 760 miles from the coast of Florida on the north-west almost to Haiti on the south-east. The city, which functions much like a federal district, is located on the island of New Providence. While there is no local government, it is governed directly as an administrative division of the national government. Prince George Wharf at Rawson Square. The wharf can accommodate up to seven vessels at a time. EST - observes US daylight savings time. Local currency is the Bahamian dollar (BSD), but US dollars, traveller's checks, and credit cards are accepted almost everywhere. Rainy Season is June-October with the wettest months between June-August. Police fired shots at a fleeing suspect in downtown Nassau. The shooting occurred around noon at Prince George Wharf and Frederick Street. No injuries were reported and the suspect was apprehended. The Royal Bahamas Police Force recently issued a message citing concerns about the increased number of armed robberies in Nassau. In this message, the Royal Bahamas Police Force urged the public to be aware of their surroundings and remain alert to avoid being a victim of crime. In light of this, and a corollary increase in robberies against U.S. citizens in 2012, the U.S. Embassy advises U.S. citizens living in or visiting Nassau to remain cautious and vigilant with regard to their personal safety and security. Armed robbery continues to be the primary criminal threat facing U.S. citizens in The Bahamas. According to local media reports based on police statistics, 1,099 cases of armed robbery were reported in 2012, a 10% increase from 2011. Shootings, sexual assaults and rapes also continue to occur in Nassau. For crime statistics for 2012 recently released by the Bahamian Police Commission on their website, click here. If you are the victim of a crime abroad, you should contact the local police and the nearest U.S. Embassy or Consulate. This includes the loss or theft of a U.S. passport. In The Bahamas, the nearest U.S. Embassy is located at 42 Queen Street in downtown Nassau, and can be reached at 242-322-1181. The Embassy staff can, for example, help you find appropriate medical care, contact family members or friends, and explain how funds may be transferred. Although the investigation and prosecution of crime are solely the responsibility of local authorities, consular officers can help you to understand the local criminal justice process and to find an attorney if needed. Conch: A local favorite that be prepared as a fritter, in chowder, or in a salad. Conch is the meat of a large shellfish. Fried Conch Fritters are very popular. Boiled Fish and Grits: The fish is simmered until it's done just right. Stew Fish: First the fish is lightly floured and fried then added to a tomato-based sauce. Peas and Rice: Another customary dish served with lunch and dinner. Souse: A stew made from peppers, onions, lime juice, and meat, typically oxtail, pig's feet, or chicken. Guava Duff: A empanada-like pastry that is boiled so the guava melts inside the dough. It's served with sugar and egg white sauce. British colonial style estate built in the 1700s by the privateer John Howard Graysmith and established in 1844 as Nassau's first inn. Built in 1788, Fort Charlotte is the largest of the three major defenses on Nassau, with a moat, dungeons and underground passages to explore. Jokers Wild Comedy Club located at the Paradise Island Casino; Columbus Tavern set on a balcony overlooking Nassau harbor; Marley Resort and Spa; 16 luxury villas; an organic produce restaurant and an extensive spa. Located along the northern shore of New Providence Island. Take the 20 minute water taxi over from the Prince Edward wharf. The Resort offers a Marine Park with a seven-acre saltwater snorkeling lagoon, majestic waterfalls and the underwater ruins of "Atlantis" itself to explore. The Atlantis resort unveiled Reef Atlantis in 2010 with the expansion of its Blue Tourism project: a collaborative effort aimed at studying and conserving natural reef habitats. The Retreat is one of the Bahamas' national parks and the headquarters for the Bahamas National Trust. Open on only weekdays. 18th-century village built around a protected harbor - family-friendly spot . The site where the Junkanoo Summer Festival takes place. Historic fort east of Paradise Island, constructed in the 18th century to guard the eastern entrance to Nassau Harbor. More than 300 birds and reptiles and botanical gardens. Buildings built in the 1800's and currently houses the Bahamian government offices. Local vendors selling fresh fruits, seafood as well as the government's Produce Exchange. There is also a cafe that offers local specialties such as conch salad. Located on the Nassau side of Paradise Island under the eastern Paradise Island bridge. Museum of slavery and emancipation opened in 1992.The Vendue House is the oldest building in Nassau, dating back to 1769. 3 miles west of downtown Nassau. Small island one mile offshore. Excellent snorkeling site. Just before the Cable Beach Resort. This beach has restroom and recreational facilities for children. Located just east of the Cable Beach resort area. Popular with locals. Located between the Atlantis resort and the Ocean Club on Paradise Island. Offers water sports such as water-skiing, snorkeling and parasailing. Snorkeling just offshore of Goulding Cay. Another site also filmed during many movies and known for great snorkeling and shallow diving. One of the most filmed reefs in the world (used in many James Bond movies). The reef starts in 5 ft. of water and reaches depths of 25ft. A natural hole in the open ocean floor measuring about 100 ft. across and 220 ft. deep. Shallow caves with 3 major openings. In 45 ft. of water, the caves go in about 30 ft. with the largest opening being 8 ft. across and 4 ft. high. Caverns located at a depth of 25ft. The site dates back to the 1800's and was a navigational hazard until it was blown apart. The remains are scattered in 30ft of water. 90ft wreck in medium depth water. Located at a depth of 60ft of water. Consists of 4 wrecks that sit in 90ft of water. the 150 freighter, The Ana Lise; the 95ft Helena C; the 90ft Bahama Shell and a wooden-hull cargo ship sunk in 1994. Click here for a complete list of dive sites. Stepping back in time to the Golden Age of Piracy (1690-1720), the Pirates of Nassau promises a great family day out. Swim with the dolphins for approximately 30 minutes. Home of Universal Pictures Flipper. Boats depart every hour to view the reefs and sea gardens of Athol Island from Woodes Rogers Walk which runs parallel to Bay Street along the harbor's edge.